Logical Pet toys are made for all dogs that love to fetch, tug and play. These are safe colorful, durable toys that will entertain for hours. These interactive plush toys have exciting squeaker technology that makes playtime fun. Plush toys come in top selling traditional patterns and shapes made with premium tough materials that are built to last. 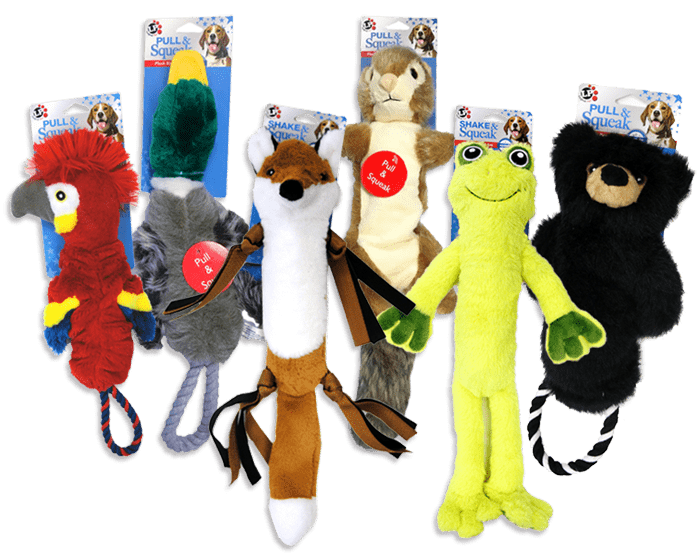 Logical pet toys promote interactive playtime activity, perfect for building a bond between you and your best friend. Look for our new line of Pull & Squeak and Shake & Squeak line of toys. 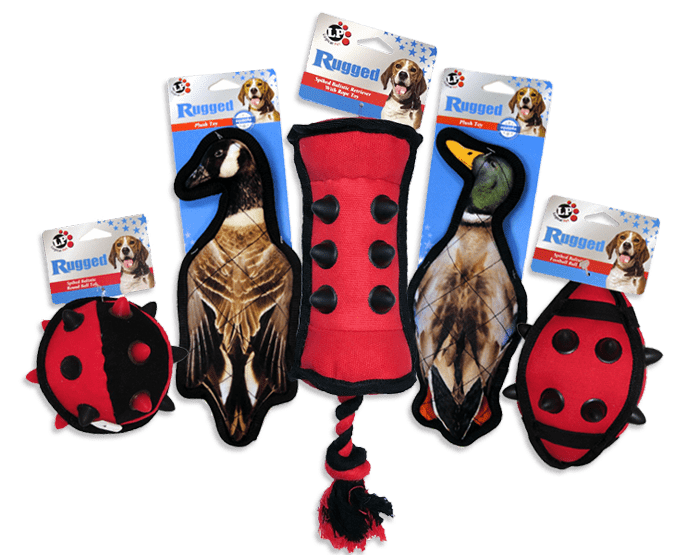 These toys have a large squeaker dogs will love. 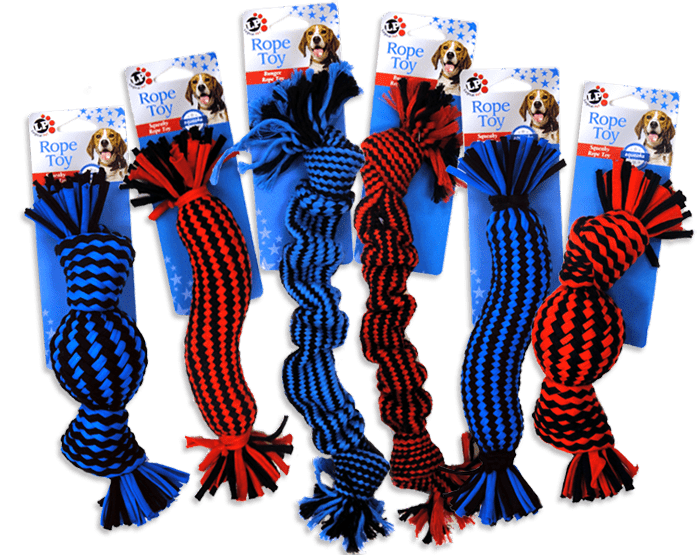 Rope toys are made from premium materials in fun shapes and colors for dogs of all sizes. Rope fibers floss dog’s teeth as they chew and play. These colorful rope toys are designed to promote interaction between you and your best friend. 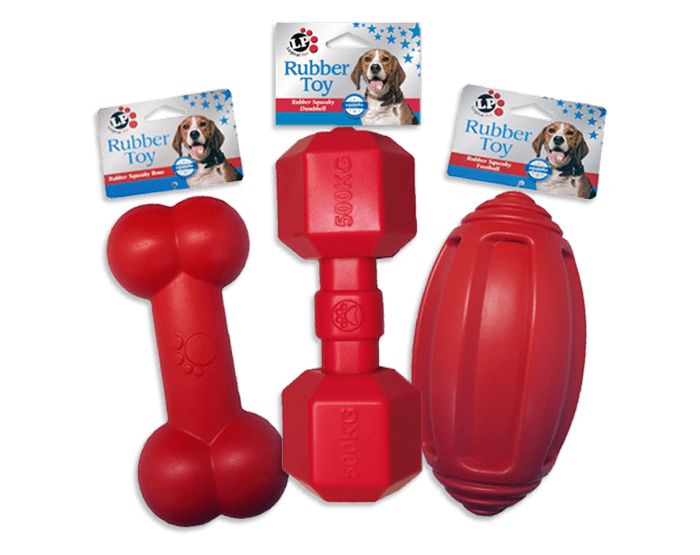 Rubber Squeaky toys are durable and colorful toys that will provide hours of physical activity and mental stimulation for your dog. Tennis toys are great for the game of fetch. It combines the benefits of traditional tennis ball and exciting hidden squeaker for extra stimulation. 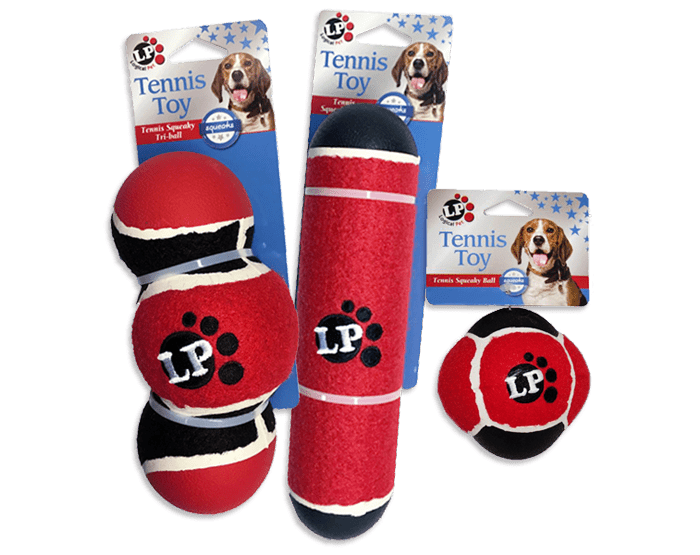 These tennis toys are perfect for training and fun playtime to keep your dog happy and healthy. Rugged Toys are ideal for heavy chewers. Our new line Spiked Shape toys are perfectly designed for toss and retrieval. These toys will keep you and your best friend entertained for hours.